Would you like to be a part of an ambitious programme of work that aims to provide a narrative of hope in the 21st Century ? 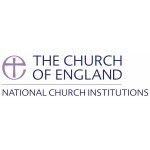 The Church of England’s Renewal and Reform work aims to build on the quinquennial goals articulated by General Synod to contribute as the national Church to the common good, facilitate the growth of the Church in depth of discipleship and numbers and re-imagine the Church’s ordained and lay ministry to enable and equip the ministry of the whole people of God to be an effective Christian presence in every community, ensuring we are a Church for all people in all places. The Ministry Division aspires to serve the Church in reimagining ministry: oriented and animated by God’s call on the Church to be animated in mission, participating in God’s work of transformation of individuals and society . This past year the Ministry Division has embarked on a change process led by a Ministry Council Governance Team working with an Interim Director to realign aspects of the Division’s culture and practice so that it can more fully support this development and enabling of ministries across the Church. This involves developing a diversity of ministries exercised by a diversity of people in a Church that is outward facing and engaged in the transformation of society, proclaiming the Gospel, making disciples and building up the whole people of God for witness and service. We would applicants who are regular worshippers within the Church of England or Anglican Churches which are part of the Anglican CommunionThis post is subject to an occupational requirement that the holder be a communicant Anglican under Part 1 of Schedule 9 to the Equality Act 2010 as the post holder will represent the Church of England at senior level and will have proven experience in and a passion for the practice and theology of effective ministry in the Church of England. This reimagining and reorientation require continuing openness to change across the church including in the Ministry Division. The reimagining requires the discernment and ongoing formation of ministers who are deeply attentive to their relationship with God, the world and others; outward looking in their engagement in mission and evangelism; collaborative in their work with both lay and ordained; and open and responsive to the wind of the Spirit in a changing world and church. To achieve this, we need a Director who exhibits these qualities with demonstrable experience of leading a service-oriented organisation with clarity and simplicity amidst external complexity. They will need to be able to resist cultural conformity and shape new thinking if they are to lead this phase of the work of the Ministry Division; they will be strategic, creative, imaginative and open to change. Most of all this role needs someone who is excited by the possibilities that God is opening up and has yet to reveal for the Church into the 2020’s and 2030’s and who is committed to expanding the opportunities for, and increased diversity of God’s people to serve him through ministry, ordained and lay, in the years ahead. Interviews will be held on the 21st May 2019. With the direction and support of the lead Bishop for Ministry and Ministry Council to continue to develop and implement a vision of ministry that is focussed on the equipping and enabling of the whole people of God and a strategy to deliver that vision. Act as driver for culture change, both within the division and through its engagement with dioceses in the Church, seeking to find ways to communicate, embody and embed reimagined forms of ministry, and to ensure the discernment and formation of a diverse range of ministers with the qualities needed for the future. Responsible for the organisational and financial aspects of the work of Ministry Division and instrumental in enabling clear communication between Ministry Division, the House of Bishops, Principals of the TEI’s, and other stakeholders in sharing the vision for ministry for the future and in enabling its realisation through faithful innovation and imaginative and entrepreneurial change. Member of the Archbishops’ Council Senior Management Group, committed to modelling leadership and collaborative working across the NCIs. Identifying and encouraging those called to ordained and lay ministries including working to increase the diversity and number of those called to ordained ministry, and to double the number of pioneer ministers year on year. Overseeing Ministry Division’s contribution to important joint work with colleagues elsewhere in the Archbishops’ Council, the Church Commissioners and the wider Church, to develop and agree and implement a national plan for paying the increased cost of ordinand training, and some costs relating to curates’ stipends and housing, for the large increase in numbers of trainees and clergy expected in the 2020’s. Encouraging new forms of ministries and ensuring that the discernment, initial and ongoing formation of those in lay ministry is effective, flexible and contextually appropriate while being nationally assured where necessary. Developing a vision of lifelong vocational discernment and lifelong learning for the clergy that enables the church to develop leadership at every level that is collaborative, adaptive, relational and missional. This will include the successful integration of the Senior Leadership Development Groups into the Division, with commensurate attention to the development of senior leaders. Work closely with the practice and aspirations emerging from the ‘Setting God’s People Free’ programme and the Discipleship and Evangelism team to support the continuing Christian formation and witness of the whole people of God. Drive a determined course of action that will enable people from a wide range of contexts and backgrounds to discern God’s call and enter all forms of ministry, by removing barriers that prevent or deter their vocational exploration and through positive supportive initiatives. Work with various partners through collaboration and influence to foster a more sustainable, secure and adaptable TEI sector, serving the learning and formation of ministers and the whole people of God in changing time whilst ensuring excellence in theological education and formation. Support the existing Division team to deliver the tasks and develop a common culture that prioritises a strong relationship of service towards the House of Bishops and sponsoring Bishops and the networks of diocesan officers engaged in discernment and training. Offer expertise and recommendations for where services and structures within the Division might be enhanced and developed. Continually demonstrate and share good practice across the Divisions and wider NCIs, ensuring that staff are resourced for their own development, collectively and individually. Work effectively as part of the NCIs senior management team to enable effective cross functional collaboration and simplification of organisational structures wherever possible. An excellent change manager who can see a new future and take people on that journey. Possess credibility, authority and political aptitude to work with, inspire and challenge bishops, dioceses, Archbishops Council and Ministry Division. Demonstrates commitment to and understanding of the purpose of ministry and the consequent expression in diverse ministries of the Church of England and to the discipleship of the whole people of God. Commitment to greater diversity among those called to public ministry and willingness to work imaginatively and proactively for greater inclusion. Intellectual curiosity with a commitment to independent thought and continual engagement with new ideas. Demonstrable ability to maintain a focus on vision with an awareness of multiple external viewpoints and the self assurance to explore a wide variety of possible options. Capability to manage a significant workload with both strategic and operational elements, being able to prioritise, project manage and delegate. Resilient, with the emotional intelligence both to manage themselves and others in situations of stress and under pressure. A good communicator who can embody the creativity and imagination needed for the task. Able to write for a range of audiences, including providing formal papers and reports for discussion in a timely fashion. Able to work across the rich diversity of contexts and traditions that make us a national Church. Able to speak of their own vocation and formation within the Church and who is visibly committed to their own journey of discernment, growing in life and faith.